Once you’ve been accepted to university or college, it might feel like it’s time to sit back, relax and wait for September to roll in. But nope! 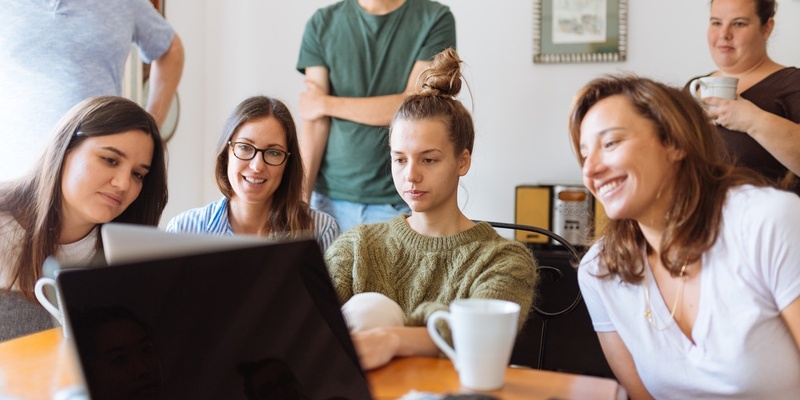 After you’ve secured your place, you’ve got to start on the real work: sussing out the nightlife, preparing for your course and, perhaps most importantly, finding somewhere to live! Students in Glasgow have a bunch of accommodation options, including official university accommodation, private halls and luxury halls. In this article, we’ll look at all the different options available to you and discuss which halls of residence are best for what students. Let’s get started. All Glasgow universities provide a variety of official accommodation options to their students. If you definitely want to live alongside fellow students and want to go for a property owned and managed by the university, official university halls of residence are for you. The University of Glasgow sits in the middle of the West End with its main campus built either side of University Avenue. The university has a number of residences clustered in and around the West End, most of which are within walking distance. 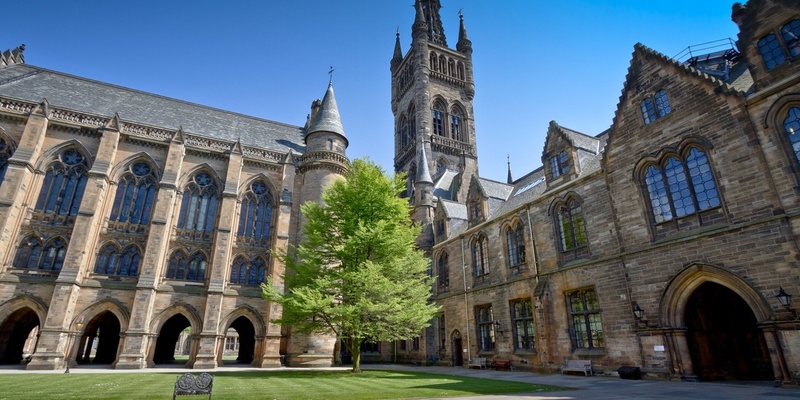 Below we’ve quickly covered all the residences Glasgow University offers. Wolfson Hall is the University of Glasgow’s only catered accommodation. It’s also the furthest away option as it’s located a couple of miles west of the main campus on the Garscube Campus. Since the Garscube Campus contains the Glasgow Vet School, it’s a good option for vets but can be a pain for anyone studying on the main campus. For non-vets, you’re looking at a 45-minute walk or a 15-minute bus ride along Maryhill Road. Wolfson Hall contains a total of 244 bedrooms — 160 single en-suite bedrooms and 84 single standard bedrooms. Students also get access to communal snack kitchens, games rooms, computer clusters, common rooms and on-site laundry facilities. All students get free Wi-Fi, contents insurance, membership to GU Sport, and a free travel pass worth £350. Rooms in Wolfson cost £178.43 per week for single en-suite bedrooms and £161.35 per week for single standard bedrooms. Murano Street Student Village is the largest residence operated by the University of Glasgow. Murano Street consists of four- or five-person self-contained flats with a shared living room/kitchen area, bathroom and toilet facilities in each flat. With Murano Street, each student gets a single bedroom and shares a kitchen/living room with their flatmates. There’s also on-site laundry facilities, communal study areas and a computer cluster. As with Wolfson, students receive free Wi-Fi access, contents insurance and GU Sports membership. Every bedroom in Murano Street Student Village costs £123.13 per week. Cairncross House sits on Kelvinhaugh Place, which is across the park from the main university campus. It offers 38 large single bedrooms, 72 single bedrooms and 102 twin bedrooms, costing £132.51, £123.13, and £98.49 per week, respectively. Like the rest of the University’s self-catered accommodation, Cairncross provides shared common rooms, study rooms, computer clusters and kitchens to students. Just down the road from Cairncross House is Kelvinhaugh Gate. Like Murano, Kelvinhaugh Gate is built around small self-contained flats of either three or five en-suite bedrooms. Each flat has its own shared kitchen/living space. The bedrooms in Kelvinhaugh Gate tend to be a bit nicer than the basic offerings in Wolfson, Cairncross and Murano. All single en-suite bedrooms at Kelvinhaugh Gate cost £149.87 per week. Winton Drive has 188 single study bedrooms so it’s a bit smaller than other halls on the list. It’s about a 15-minute walk to the main university campus from Winton Drive. Single bedrooms cost £123.13 per week. The final official University of Glasgow halls is the Queen Margaret Residence, which, confusingly, is nowhere near Queen Margaret Avenue. Instead, it’s just around the corner from the Winton Drive complex. Queen Margaret Residences has 391 single, en-suite rooms, which are grouped into self-contained flats. Each flat has access to a shared kitchen and living space. En-suite rooms in Queen Margaret Residence cost £149.87 per week. Clustered up in the northeast corner of the city centre, the Strathclyde Campus packs a tonne of buildings into a very small footprint. 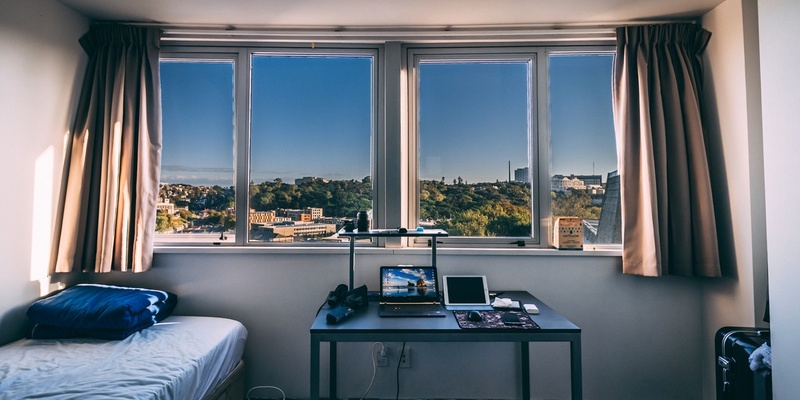 Strathclyde students have a lot of choice when it comes to city centre accommodation so let’s take a look at what the university has to offer. At the very northern edge of the Campus Village is Birkbeck Court. Birkbeck is made of up shared six-person flats with a total of 384 rooms. Birkbeck is right on Strathclyde’s doorstep, meaning you can wake up at five to nine and still make it in time for lectures. It’s also a stone’s throw away from the City Centre and Merchant City. Sitting up behind the City Centre proper, Birkbeck feels a bit quieter, which is good for the days you actually have to do some work! Single rooms in Birkbeck cost £105 per week. Andrew Ure Hall is Strathclyde’s only off-campus — and even then it’s only a five-minute walk away on High Street. Like most of Strathclyde’s halls, Andrew Ure is made up of shared flats, which, in this case, are either four- or six-person flats. The whole residence holds a total of 300 students. The residence has a secure entry system, elevators, laundrettes, and recycling facilities. There are also 45 parking spaces, which cost £38 per month—an absolute steal if you ask me! Single rooms at Andrew Ure Hall cost £112 per week. Forbes Hall is literally only a few metres from Strathclyde’s Andersonian Library, which is slap bang in the middle of the uni. Like Andrew Ure, Forbes is made up of a load of four- and six-person flats. It’s quite a small residence with just 104 rooms in total. Single bedrooms in Forbes Hall cost £110 per week, and this fee covers all the usual stuff like contents insurance, Wi-Fi, cleaning services and so on. Chancellors Hall sits on Rottenrow, right at the edge of the Campus Village. It’s got a mix of shared flats with three, four, five and six-person options for flats. In total, there are 165 rooms in Chancellors Hall. Unlike some of the other residences, bedrooms in Chancellor Hall come with an en-suite bathroom with a sink, shower, and WC. Single bedrooms in Chancellor Hall cost £137 per week and double beds cost £145 per week. James Young Hall sits on Rottenrow, between James Blyth Court and Thomas Campbell Court. It’s made up of four, five or six-person flats. With just 66 rooms in total, James Young is one of the smallest residences on the list. Every room in James Young costs £137 per week. Across the road from James Young is James Goold Hall. James Goold is made up of shared flats and has 147 rooms in total. Each self-contained flat will fit either five, six or eight students. At the very edge of the Campus Village, it’s super close to the Merchant City. Single rooms in James Goold Hall come with en-suite bathrooms and attract a rent of £137 per week. Garnett Hall sits up in the northeast corner of the Campus Village, just off Cathedral Street. Like most Strathclyde residences, it’s made up of shared flats that fit between four and six students. Like other residences offered by the University, Garnett Hall features a secure entry system, CCTV and a security team. Every single room in Garnett Hall costs £110 per week. Finally, there’s Thomas Campbell Court, which lies a few metres from James Young Hall and Chancellors Hall. It’s made up of shared four- or eight-person flats with a total of 156 beds. Rooms in Thomas Campbell Court cost £111 per week. Glasgow Caledonian University provides on-campus accommodation to students in its self-catered shared flats at Caledonian Court. Caledonian Court is made up of 100 self-contained flats, which are either six or eight rooms. The residence has space for 660 students in total, which makes it one of the largest residences in Glasgow. Residents of Caledonian Court are granted access to the University’s gym and fitness centre, on-site laundrettes, and free internet connection. Caledonian Court costs between £99.79 and £118 per week. University-owned halls are great but they can be a little bit… basic. Tiny rooms, cheap fittings, small mattresses and so on. If you want something a little more luxurious, you’ll have to look into private accommodation. Private student accommodation commonly comes with an on-site gym, cinema room, well-stocked games room and other slick communal areas. Here are some great private accommodation options we’ve found for students in Glasgow. Liberty Living has two residences in Glasgow: Liberty Park and Liberty House. Sitting up behind the Necropolis on Kyle Street, Liberty Park is best suited for Caledonian University and Royal Conservatoire of Scotland students. Room options include classic en-suite, premium en-suite, shared apartments and classic studios. Rooms cost £109, £116, £147 and £162.50, respectively. With Liberty Park, you can take contracts on a 44- or 51-week basis. Liberty House is located in the City Centre on Miller Street, right next to Paesano. You can choose between classic en-suite, premium en-suite, deluxe en-suite and classic studio rooms. You get a bit more choice with contract lengths at Liberty House with 41, 50, 51 and 51-week leases available. Unite Student was one of the first UK companies to focus on student accommodation. They own four student residences in Glasgow—Blackfriars, Thurso Street, Tramworks, and Kelvin Court. All four residences have en-suite and studio rooms available for between £119 and £180 per week. 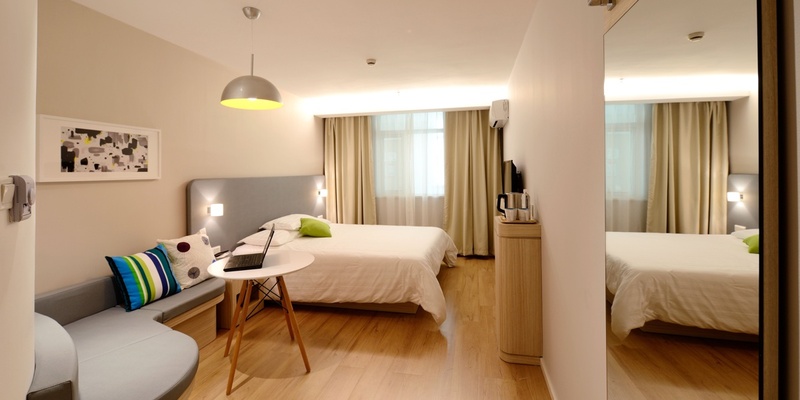 For their rent, get receive contents insurance, 24/7 security, Wi-Fi and laundry facilities. Student Roost has five student residences in Glasgow: Buchanan View, Gibson Street, St Mungo’s, Dobbie’s Point, and Merchant Studios. Buchanan View is the cheapest of the five with prices starting at £109 per week for an en-suite room. The only other option is a studio, which bumps the price up to £189 per week. Gibson Street the same rooms at slightly higher prices: £149 per week for the en-suite room and £219 for a studio. For St Mungos, Dobbies Point and Merchant Studios, there is a load more choice of rooms. Each residence has both en-suite and studio rooms but here they come in different tiers — bronze, silver, gold and platinum. Downing Students is one of the newest entrants to the Glasgow market with new residences in Partick. West Village was the Downing’s first residence, opening a couple of years ago. West View opened in September 2018, adding another 310 rooms to Downing’s portfolio. Both residences offer two types of room: en-suite and studio apartments. The former has access to a shared kitchen and lounge, while the latter comes with its own kitchen. Prices are relatively steep, ranging from £139.16 per week for a standard en-suite in West Village all the way up to £215.72 per week for a platinum studio in West View. Both residences are within walking distance to the University of Glasgow and have good access to the City Centre via trains and the Subway. Fresh Student Living manages six properties in Glasgow: Woodside House, Foundry Courtyard, Dunaskin Mill, Collegelands, Bridge House and MyPad Paisley. Dunaskin Mill, Bridge House and Woodside House are best for the University of Glasgow as they are all within the West End. Foundry Court and Collegelands are good for Strathclyde as they’re in the East End of the city. MyPad Paisley is a good cheaper alternative but students will have to commute into the city on the train. With gyms, games rooms, cinema rooms, high-speed broadband available in most of their residences, Fresh Student Living accommodation is definitely an ideal choice for students. Rooms in Fresh Student Living residences cost between £84 and £150 per week. Hello Student owns four residences in Glasgow: George Street Apartments, Willowbank, 333 Bath Street and The Glasgow Ballet School. 333 Bath Street and George Street Apartments are both based in the City Centre and are good options for Caledonian and Strathclyde students. The Glasgow Ballet School (West Princes Street) and Willowbank (Willowbank Crescent) are both in the West End and are best for the University of Glasgow. The residences all offer a range of room choices, including studios, two-bed apartments and larger shared flats. Prices start at £145 per week for a room in a five-bed flat and go up to £347 per week for a Conran Executive Studio in the Ballet School. If the idea of a cookie cutter room in fancy student accommodation makes you wince, you might want to look at a private let. While most letting agents will consider students, there’s a few that actively market themselves as student friendly. Below are a few reliable private letting agencies that we’ve heard good things about. Cairn Estate Agency has a good presence across Glasgow and Edinburgh. They ask students to fill out a form on their website to receive information about student-friendly properties. Happy Lets was founded in 2005 by University of Glasgow graduates so they really understand the local area and students. If you’re looking for a hyper-local service, Happy Lets is one of Glasgow’s best letting agencies. Happy Lets has a wide range of properties in Glasgow and asks students to reach out directly to discuss their needs. Martin & Co currently manage a variety of great flats in Glasgow, which are all within walking distance of the City Centre and West End. They are usually pretty considerate towards students’ needs. Alternatively, you can look for a flat yourself and negotiate with the letting agent later about whether they accept students. Rightmove even allows you to filter your search by student-friendly properties. The final category we’re going to look at is luxury student accommodation. These residences are amazing but need students (or parents) with very deep pockets. 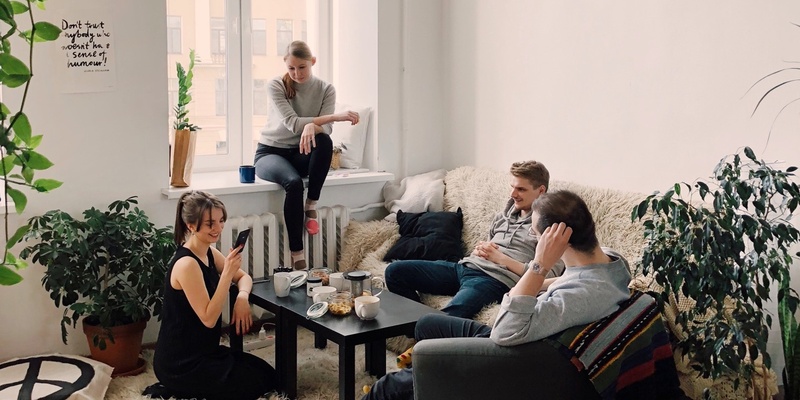 There’s often a bit of overlap between normal private student accommodation and luxury student accommodation but really it’s a matter of things being a bit nicer and a bit bigger. Check out our list of luxury student accommodation in Glasgow. CRM Students has three high-end residences in Glasgow: Clifton House, Stewart House and the Gallery Apartments. Both Clifton House and Stewart House are located in Finnieston, while the Gallery Apartments are right next to Buchanan Galleries. Prices start at £143 per week for a classic en-suite in Clifton House and go up to £279 per week for a premium split level studio in the Gallery Apartments. Facilities in each residence vary quite a bit but expect high-end study spaces, games rooms, cinema rooms, well-equipped kitchens and gyms. Collegiate has just one site in Glasgow, a luxury private residence in Finnieston called Claremont House. Prices start at £151.50 per week for a classic bedroom and go up to £219 per week for a premium terraced studio. Claremont House features a roof terrace, on-site cinema and gym, and is located a short walk from the City Centre and the University of Glasgow. Prestige Student Living has a couple of luxury halls in Glasgow: Havannah House and Base Glasgow, both of which are out along Duke Street opposite Tennent’s Brewery. Since they’re in the East End, both Prestige residences are better suited for Strathclyde students. Prices start at £122 per week at Havannah House and £161 per week in Base Glasgow. Vita Student was one of the first student accommodation builders to get in on the Partick revolution. These luxury student digs start at £192 per week for a small studio and go up to £268 per week for a Premium Plus room. The residence itself is fantastic with fantastic social areas, superfast Wi-Fi, free bikes, weekday breakfasts and so on. Going to university or college can be a stressful experience and finding the right accommodation shouldn’t add to that. Whether you’re looking for a best-in-class luxury student pad or cheap and cheerful halls of residence, there’s something for everyone in Glasgow. Hopefully, our guide helped you research your options and make a more informed decision about where you’ll spend the next few years of your life.